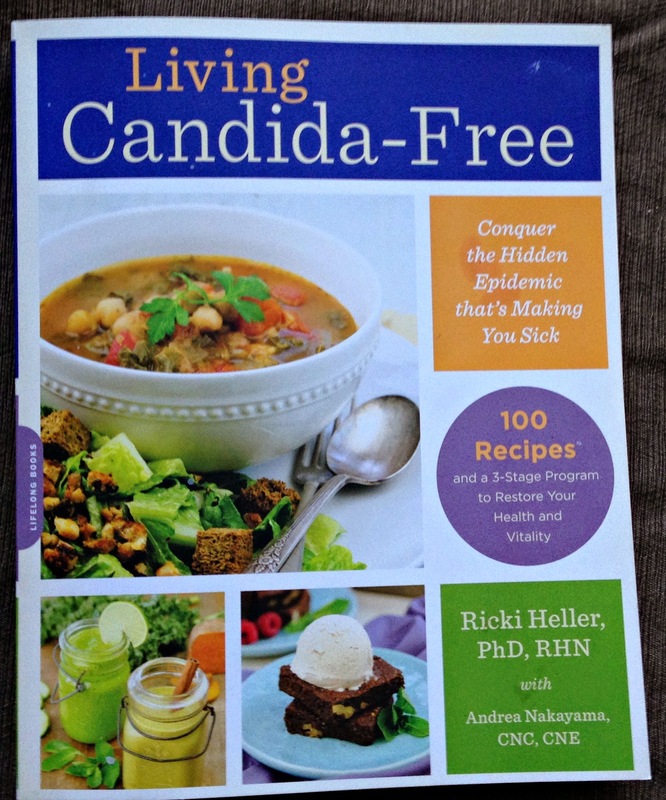 My own copy of Living Candida-Free by Ricki Heller. How to feel satisfied and still live within a restricted diet? That is the challenge facing so many people, whether it's due to allergies, intolerance, or other health issues. For years, my friend, Ricki Heller, has been providing folks who live with Candida Related Complex (CRC) with a feeling of abundance. She has written hundreds of recipes for her website, rickiheller.com, that are not only gluten-free and vegan, but also reside within the confines of the the anti-candida diet. Candida Related Complex is a condition where the candida yeast (a normally occurring yeast that makes up part of the human biome) grows excessively, resulting in a host of symptoms ranging from the inconvenient to the debilitating. Ricki's newest book, Living Candida-Free, written with nutritionist Andrea Nakayama, is so incredibly informative about the basics of digestion, how CRC develops, and what is necessary to do to get your body back in whack. I love how thoroughly researched this topic is by two incredibly smart nutrition-educated women. Ricki writes with such a friendly and accessible voice, while holding your hand through complex information. If you or someone you know is struggling with CRC (or wondering what might be contributing to health conditions ranging form digestion woes, skin issues, joint pain, thrush, etc. ), I encourage you to read this book, Living Candida-Free. It will provide you with the information you need to talk to your own healthcare provider about whether candida is the culprit. Once you get past the information, though, you get to the recipes -- recipes that bring hope for a full, rich diet while traveling along the road to improved health. Ricki was generous to share a recipe with us. This soup is exactly the kind of soup I enjoy. 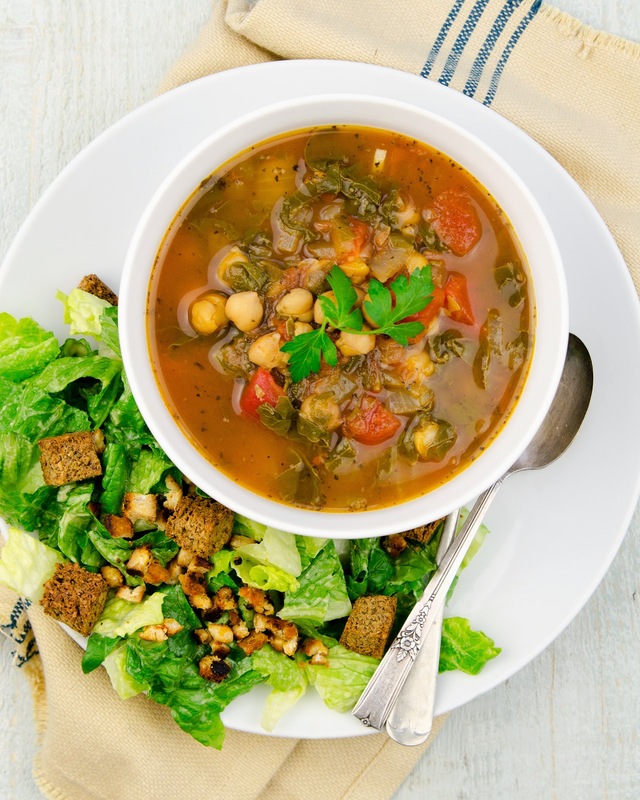 Flavorful broth supporting tender greens and creamy chickpeas. In a large pot or Dutch oven, heat the oil over medium heat and add the onion and garlic. Saute until the onion is translucent, for about 8 minutes. Add the remaining ingredients, except the lemon juice, and bring to a light boil. Lower the heat to a simmer, cover, and simmer until all the vegetables are soft and the flavors are well combined, for about 30 minutes. Add the lemon juice; stir and adjust the seasonings. Want to try some more recipes from Living Candida-Free? The Blender Girl has a thorough review along with the recipe for Chard & Chickpea Soup. My new book, SUPER SEEDS, is available now! You can also find tasty recipes in Welcoming Kitchen: 200 Delicious Allergen and Gluten-free Vegan Recipes. Ricki, I expected the book to be informative, but I was thrilled to read it and hear your voice shining through. It's so upbeat and positive, which is a challenge when you're writing about a scary subject. Well done! That book is so fabulous! Love the recipe - chard is definitely an under-appreciated veggie! I agree, Alisa! This book reminded me that chard is one of my favorite greens! Oh I love this! With some roasted chickpeas on the side!!!!! So delicious!